El Segundo, Calif. (January 24, 2019) – Reinvention and reincarnation reign supreme in the Yu-Gi-Oh! TRADING CARD GAME (TCG) this February, as the past is forged anew with three new releases! 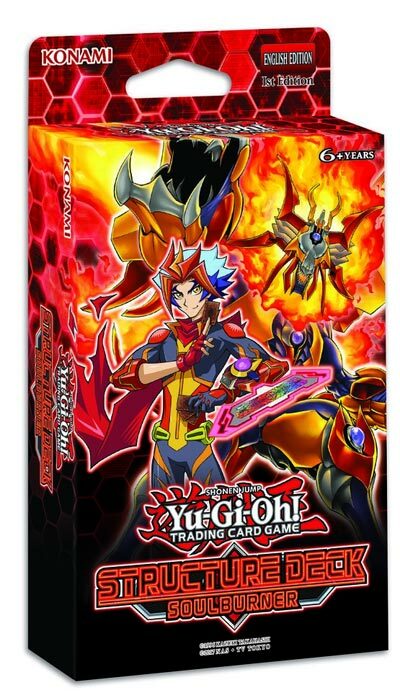 Konami Digital Entertainment, Inc. (KONAMI) is excited to deliver the first 100-card booster set of 2019 bringing Synchro Summoning to the VRAINS era. Savage Strike unleashes one of the most popular Summoning mechanics of all time into the VRAINS and brings new powers to the fan-favorite Valkyrie, Neo Space, and Shiranui strategies! Kicking off on February 1, the Savage Strike booster set brings Synchro Summoning to the Yu-Gi-Oh! VRAINS generation, unleashing unbelievable monsters that demolish the landscape of any Duel. 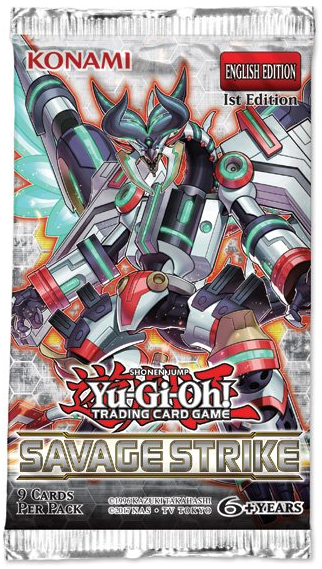 Cyberse Quantum Dragon is an incredible Level 7 Synchro that shields your monsters from attacks and card effects, bouncing anything it attacks off of the field and making a second attack to push the hurt. Borreload Savage Dragon is a Level 8 Synchro that equips a Link Monster from your Graveyard when it’s Synchro Summoned – starting with 3000 ATK, the newest version of Borreload Dragon gains Attack Points equal to half the ATK of the Link Monster it carries, and it negates a number of cards and effects equal to that monster’s Link Rating! Both behemoths demand nothing but a Tuner Monster and one or more non-Tuner Monsters so they fit any Synchro strategy. Following the undead uprisings of Hidden Summoners and Structure Deck: Zombie Horde, the Savage Strike booster set brings new Synchros and a Link Monster for the Zombie-type Shiranui tribe. Not only that, building on last year’s Elemental HERO Nebula Neos and Neo Space Connector, new “Elemental HERO” monsters arrive to help you get your game on. And even Zigfried von Schroeder’s “Valkyrie” cards get some new tricks, emerging from the Shadows in Valhalla to seek new glory in battle. Trickstars, Salamangreats, Sky Strikers, Madolches, and countless more themes see new support, while any Deck can play powerful, splashable Spells and Traps. Witch’s Strike is a Trap Card that punishes your opponent for trying to negate your moves, destroying every card they have…even in their hand! And Pot of Extravagance lets you banish cards from your Extra Deck, giving you an easy two draws for just one activation – a huge boost for Decks like Kozmos and True Dracos. Duelists can get a preview of Savage Strike at Sneak Peeks scheduled for January 26 and/or January 27 at participating Official Tournament Stores. Duelists can find more information and a list of locations here: http://www.yugioh-card.com/en/events/sneakpeek.html. Savage Strike hits February 1 with 100 cards: 48 Commons, 20 Rares, 14 Super Rares, 10 Ultra Rares and 8 Secret Rares. MSRP: $3.99 per 9-card pack. Two weeks later prepare for Structure Deck: Soulburner! Last year’s Soul Fusion booster set sparked the Salamangreat fire and Savage Strike stoked it to a blazing flame, but the newest Structure Deck turns the theme into a roaring wildfire. Soulburner’s strategy revolves around sacrifice and rebirth, letting you send your “Salamangreat” boss monsters to the Graveyard to Summon an even more powerful copy with extra abilities. The new Field Spell Salamangreat Sanctuary hastens up the burn by speeding up your Link Summons for instant upgrades, perfect for powering up Salamangreat Heatleo for your fiery endgame. Once you’ve got Heatleo on the field, you can protect it with the new Salamangreat Circle Spell Card, or assert your dominance with two new Traps: Salamangreat Rage and Salamangreat Roar. How do you unleash your Link Monsters in the first place? Ignite the spark with new monsters like Salamangreat Beat Bison, Salamangreat Fowl and Salamangreat Spinny to Special Summon the Link Materials you need, then keep the pressure cooker heated with Salamangreat Mole and Salamangreat Gazelle. The new Structure Deck also includes some of the hottest reprints, from Transmodify and Gozen Match to the mighty Ash Blossom & Joyous Spring! Structure Deck: Soulburner is available February 15. Each box contains a Beginner’s Guide and a Double-sided Deluxe Game Mat/Dueling Guide, with a 40-card Main Deck and a 6-card Extra Deck for a total of 46 cards: 39 Commons, 4 Super Rares, and 3 Ultra Rares. MSRP: $9.99 per Box. Protect and display your favorite cards with accessories that showcase some of Dueling’s most iconic cards with the Golden Duelist Collection. 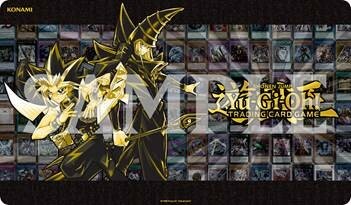 From Dark Magician Girl, Blue-Eyes White Dragon and Exodia the Forbidden One, to Rescue Cat, Black Rose Dragon and El Shaddoll Construct, the Golden Duelist Collection draws together dozens of fan-favorite Monsters, Spells and Traps in a rich black and gold motif punctuated by a timeless image of Yugi and the Dark Magician. 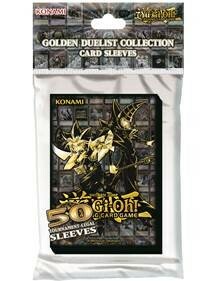 The Golden Duelist Collection arrives on February 15. The Golden Duelist Collection Card Case fits 70 sleeved cards, and includes a special divider to keep your Main, Side, and Extra Deck organized. 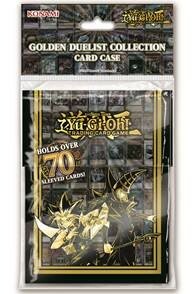 MSRP: $4.99 per Card Case. 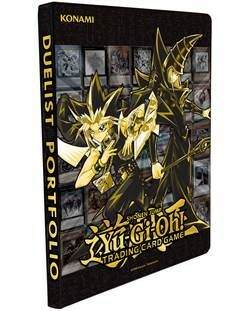 The Golden Duelist Collection Duelist Portfolio (delayed until April 5th) includes 10 pages with 9 card pockets per page, displaying up to 180 cards. MSRP: $9.99 per Portfolio. The Golden Duelist Collection Game Mat is made of a rubber material and is the same size as Game Mats used for prizing in Konami sanctioned events. MSRP: $14.99 per Game Mat. Each pack of Golden Duelist Collection Card Sleeves contains 50 sleeves designed to meet tournament regulation standards. MSRP: $3.99 per Pack.